Your home is your biggest and most important investment. So, why wouldn’t you take proper care of it? 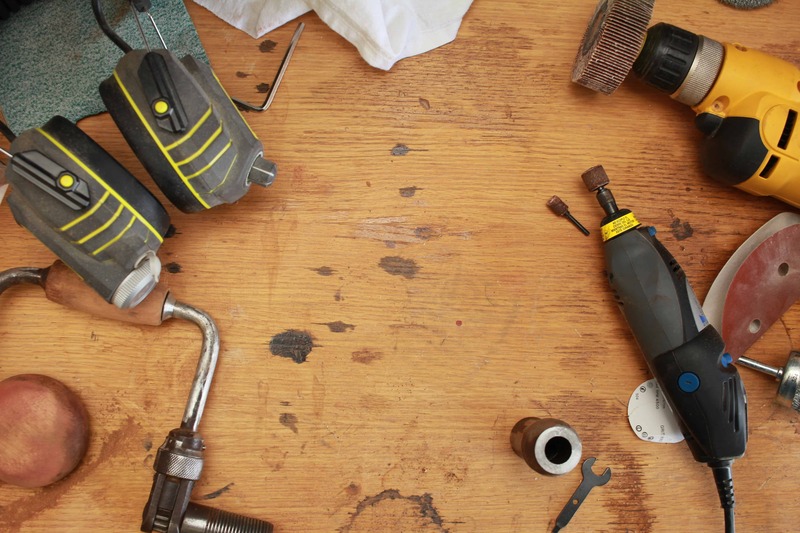 Just like a car needs regular oil changes, keeping up with home maintenance tasks is a must. It is much easier to do your chores every now and then instead of having to pay for big repairs. All these tasks can seem quite intimidating, especially if you are a new homeowner. Let’s face it; nobody wants to spend their day off pulling leaves out of a gutter. Or, even worse, nobody wants to spend the entire day figuring out how to drain a boiler. Good news is that you can do all the tasks on your own, even if you have absolutely no experience. If you get stuck, you can always use Google or call a friend. In order to get all the tasks done and also maximize your efficiency, it is smart to create a home maintenance checklist. Start by writing down some regular tasks that you can do every weekend. To help you out, we’ve created a checklist that includes tasks that should be done monthly, quarterly, biannually. We also included some activities that can be done seasonally. Keep in mind that our you don’t have to strictly adhere to our checklist. You can take care of your home whenever you want and as often as you want. And, as long as you don’t forget to accomplish all of these tasks, your home will be in a good shape for years to come. There are some tasks that should be done on a monthly basis. You can pick one weekend every month and turn home maintenance into a family activity by involving your children in some of the tasks as well. HVAC filters – some experts say that HVAC filters should be changed every month. This is not absolutely necessary unless you have pets or someone in your family has allergies. In general, it is acceptable to change the HVAC filter every 2-3 months. However, what you should do is inspect the filter on a monthly basis. If the filter is dirty, change it. If it’s not, then leave it and don’t forget to check it out next month. Kitchen sink disposal – even though this might terrify you, kitchen sink disposal should be cleaned every month. There are so many ways to do this, but the most painless one seems to be using vinegar ice cubes. All you have to do is put some vinegar in an ice tray and let it freeze. Then, simply run the ice cubes through the disposal. Not only will this freshen it up, but also sharpen the blades. Talk about killing two birds with one stone. Fire extinguisher – let’s assume you have a fire extinguisher like every household should. Inspecting it doesn’t take much time. Make sure that it is easily accessible (and not block by boxes or something else), that the gauge shows proper pressure, and that the extinguisher is not damaged. Range hood filters – if you’ve never done this before, then you’re in for a real “treat.” The best way to clean a range hood filter is by using a degreaser that can be bought from an auto parts store. Mix it with water, let it sit for a few minutes, and then rinse off. Inspect all the drains for debris and unclog them if necessary. Furnace filter – don’t forget to clean the furnace filter regularly. This will make it easier to regulate the temperature in your home and can even decrease utility bills. Vents – make sure that no indoor and outdoor air vents are blocked. Also, check out the vacuum heat registers and heat vents. Common appliances – some appliances such as a smoke alarm or a carbon monoxide detector should be checked out on a regular basis. This is a fairly simple task since the majority of detectors have a “test” button. All you have to do is press it and wait for the alarm to sound. If it doesn’t, replace the batteries as soon as possible. If you get stuck, have a look at out our guidelines for checking your carbon monoxide detector. Garage door – every now and then you should check your garage door, or, to be more precise, its auto-reverse feature. Start off by testing the photo-electric sensors. Place any object in front of them and see whether the door will go back up immediately. Then, place a 2×4 on the ground where the door should close. The door should reverse as soon as it hits the wood. Water softener – you should check out the water softener on a regular basis and replenish salt when necessary. Guest bathrooms – don’t forget to flush toilets and run water in guest bathrooms and other spaces that are not used regularly. The idea behind this is to prevent any form of buildup. Water heater – you should test the pressure relief valve on your water heater at least twice a year. Doing so will prevent any buildup and safeguard the unit against leaks. In addition, it will make your heater more efficient. If you’re not sure how to properly test your water heater, check out our hot water heater guidelines. Smoke and carbon dioxide detectors – even though we mentioned that you should check on your smoke and carbon dioxide detectors regularly, we didn’t mention how often the batteries should be replaced. Majority of people assumes that the batteries should be changed out when the device starts giving you the low battery beeping sound. However, you shouldn’t wait for the sound. Instead, replace the batteries every six months. Deep clean your home – you should pick one day every six months and deep clean your entire house with your family. This includes cleaning and dusting absolutely every nook and cranny, even in the basement. In order to keep your house in top shape, you shouldn’t allow the dirt and dust to build up. If you’re not sure where to start, check out our house cleaning checklist. Refrigerator coils – this is a trick refrigerator repairmen might teach you. Your fridge can use up to 15% of the total power in your home. When the coils get dirty, your fridge requires even more power. So, in order to make your fridge as efficient as possible vacuum your refrigerator coils at least twice a year. This can help you save up to $100 a year. Once the snow melts and the trees begin to bud, your home is ready for the spring clean and maintenance. Here are some tips that will help you prepare your home for the rest of the year. Inspect the exterior of your home – check if there are any cracks in the foundation or holes in the bricks or see if there is any paint chipping. In general, take a close look at your house and see if there are any repairs that need to be done. Roof – don’t forget to check if there are any damaged or missing shingles and leaks once the winter is over. Drainage – sometimes springtime means lots of rain. And, you want to make sure that the rain water will flow away from your house. If you notice any puddles standing around your home for more than 24 hours, inspect your drainage. Start off with your gutters. Sometimes, they just may need cleaning. Door and window screens – the spring is the perfect time for cleaning door and window screens. If you notice any damage, make sure to repair or replace them. You don’t want any bugs crawling in. Change the air-conditioner filter and, if necessary, get your air conditioning system serviced. Fertilize your lawn and clear any dead plants or shrubs. Believe it or not, dead plants can cause damage if they find their way into cracks and holes. If you have decorative vines, make sure to inspect them carefully. Check sprinkler heads and remove insulation from outdoor faucets. Summer is great for focusing on the exterior of your home, including your lawn and garden. Garage – maintaining your garage should be your summer ritual. Start by oiling garage-door opener, chain, and all door hinges. Then clean all the dust thoroughly and throw away all the items you don’t anymore. Keeping your garage clean will definitely extend its life. Deck/Patio – summer is a great time to take care of your deck or patio. Usually, it needs just a thorough wash. But, if you notice any loose boards make sure to repair them. Also, consider whether your deck needs re-staining. Insects – bugs love summer. If you have an insect problem, you won’t have to look too hard to find it. Common insects such as ants, spiders, and moths are easy to take care of. Make sure to clean all the cobwebs, buy ant poison if necessary, and make sure that all your doors are shut tightly. Window wells – do you have a basement? If so, then you should clean out window wells. All sorts of debris can get stuck there including leaves, trash, and even animals. Plumbing – inspect your plumbing for leaks, including all faucets and toilets. If you notice that your water pressure is low, it is very likely that the aerator is the culprit. Luckily, it is very easy to fix it. Vents – check all the exhaust vents on the outside of your home, including your clean dryer vent. While the dryer is running, see if the exhaust is coming out. It should smell like fresh laundry. If you don’t notice much exhaust check for blockages or call a professional. Fall is the season during which you should finish all the tasks you didn’t have the time for so you could get your home ready for winter. Rain, snow, and cold weather can cause significant damage so make sure you are prepared. HVAC system – one of the first things you should do is get your HVAC system ready for winter. Get it inspected by a professional and service your furnace if necessary. Make sure that none of the heating vents are blocked by furniture. Also, don’t forget to inspect fireplaces if you have any. Chimney – Some people clean their chimney in fall, some in the spring. Choose whichever season you prefer, just don’t forget to do it once a year. Hot water heater – flush hot water heater to make it more efficient and prolong its life. Hoses and outdoor water faucets – flush your outdoor water faucets and hoses. If you have a sprinkler system, don’t forget to winterize it. Wrap insulation around outdoor faucets and pipes. Driveway/pavement – check if there are any cracks in your driveway or pavement and make sure to re-seal them before winter. Sometimes, water can freeze and expand in the cracks, causing damage. Air conditioning systems – make sure to winterize your AC systems by storing the window units or, if you have central air, by covering the outside unit. Buy winter gear – you never know when the first snow will come so make sure that you have good shovels and sidewalk salt ready. Rake leaves from the lawn and remove debris from gutters. Seal cracks in window and doors, if there are any. Inspect your roof for missing or damaged shingles. Clean the carpets, window and door screens. There’s not much you can do outside during winter. Instead, focus on the interior of your home and check out all those little things you may have overlook or postponed for some time later. Also, if you have any interior DIY projects, winter is a great time to do them. Check for icicles – even though kids love icicles, don’t let them grow when the cold weather comes. They are a danger to people but can also cause damage to your home since they are very heavy. Also, once they melt, they can even cause water damage. Keep in mind that you should also de-ice any cables that are at the front of the roof work well. Tighten loose screws – and this includes absolutely every loose screw you come across, including those on handles, racks, knobs, etc. Clean your basement – many people use their basement as a storage area and tend to forget about it. Winter is the right time to inspect your basement and deep clean it. Check the area for mold, dust everything up, and clean windows and furniture if there are any. Test your electricity – working with electricity in wet weather is not a good idea. However, there are some simple tests you can do on your own, of course, while staying inside. For example, check if all the outlets in your home work. If not, then you can re-wire them on your own. Clean drains in tubs, showers, sinks, and dishwashers. Remove showerheads and clean sediment. Inspect caulking around bathtubs and showers. Replace any deadbolts or locks on doors and window that don’t work. Home maintenance expenses can sneak up on your. Unlike a lot of the costs of homeownership, home maintenance is not included in your monthly mortgage payment and can add up to thousands of dollars per year. Expert recommendations differ, but a general rule of thumb suggests budgeting $1 per sq/ft per year based on the size of your home or 1% of your total home value. If you find yourself with a major maintenance expense and don’t have the savings to cover it, you could always consider a cash out mortgage to cover the cost of major repairs like a roof replacement. Enter your information below to see what you qualify for.